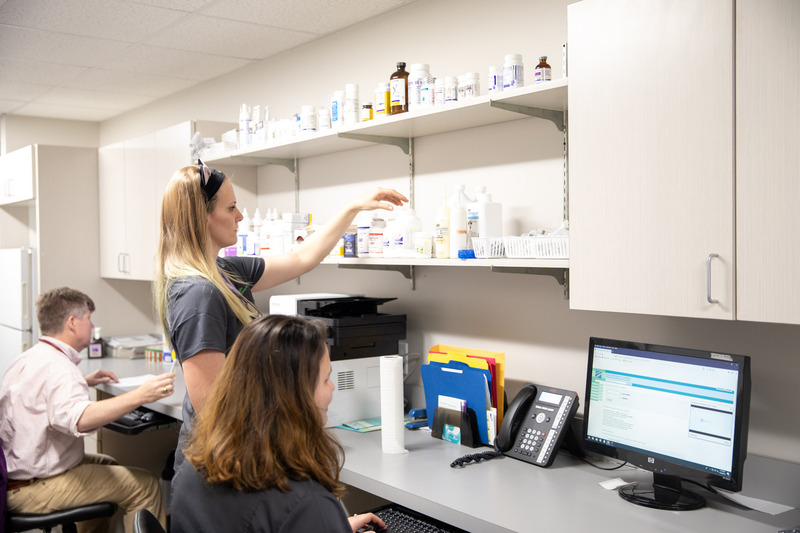 Veterinarians are required by Georgia Pharmacy Law to write prescriptions and retain copies of these prescriptions for all prescription drugs dispensed in their practice. Georgia Law also prohibits a veterinarian from dispensing medication for animals that have not been examined by that veterinarian and prohibits a veterinarian from dispensing refills without a bonafide veterinarian/client/patient relationship. Reference: Official Code of Georgia Annotated Sections 16-13-41, 26-4-4, 26-4-85 and 26-4-116 amended. Any inconvenience that clients may experience from these regulations is deeply regretted. This information is provided by the Georgia Veterinary Medical Association as a service to the membership. Patients with appointments made in advance will be seen ahead of Walk-In's. All routine services must be paid at the time of service, unless prior arrangements have been made. We accept cash and/or personal checks for the amount of the fee only. Visa, MasterCard & Discover are also accepted. All professional service fees and prescriptions must be paid in full at the time the pet is dismissed from the hospital. We would be happy to provide a written estimate for services. Please feel free to ask. Financial policy prevents the establishment of any new charge accounts. No additional services may be charged to any account with an outstanding balance over 60 days past due. All fees MUST be paid at the time of service if a balance exists over 30 days past due. All animals must be current on vaccinations (Dogs-Rabies, Distemper/Parvo/Bordatella & Cats-Feline Leukemia and Feline Distemper) in order to enter the boarding Kennel. Pet Emergency? Call us right away at 912-267-6002! Golden Isles Animal Hospital is locally owned and operated, serving Brunswick & The Golden Isles with the highest quality of care for your pet. At Golden Isles Animal Hospital, we treat your pets like the valued family members they are. Golden Isles Animal Hospital is proud to serve the Brunswick and St. Simons area for everything pet related. Our veterinary clinic and animal hospital is run by Dr. James Hornbuckle DVM, who is a licensed, experienced veterinarian. Our team is committed to educating our clients in how to keep your pets healthy year round, with good nutrition and exercise. 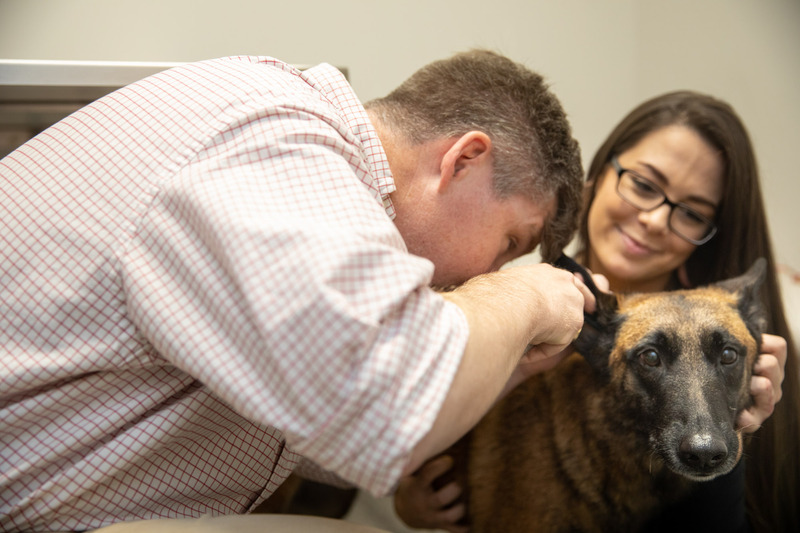 Golden Isles Animal Hospital stays on top of the latest advances in veterinarian technology and above all, remembers that all animals and pets need to be treated with loving care in every check-up, procedure, surgery, grooming or lodging stay.